Transform your site into a multi-vendor marketplace & allow multiple contributors to sell via your site. Symbiostock Vendors expands upon the core Symbiostock Pro software in a dramatic way, transforming the system into a multi user platform. Symbiostock Vendors enables groups of artists who wish to work together as one entity, to establish their core Symbiostock site whilst at the same time provisioning each artist with the tools needed to control their media products, without affecting the media of other users. Symbiostock Vendors works via a central administrative account (basically like the parent account) that is responsible for the overall operation of the Symbiostock powered website. It is from this administrative account that sub ‘Symbiostock Contributor’ accounts are generated. Each contributor account is provisioned with their own WP dashboard and their own Symbiostock FTP folder, from which they upload and manage their individual media products. Contributor accounts can be added / deleted as required. Each contributor account has their own control panel. Contributor accounts are isolated from one another and each contributor can only view/edit their own media products. Contributor accounts cannot access administrative settings such as Symbiostock settings, WP settings, Woocommerce settings, etc. The central administrative account governs and controls the WP website. Compatible with Symbiostock Premium Plugins, including Symbiostock Video & Symbiostock Submitter. Symzio Integration – Once approved, your website integrates into Symzio as one business. This means the combined pool of published media is piped through only one single Symzio account. Symbiostock Vendors is a commercial grade plugin designed for business professionals and entrepreneurs who want to unite, connect and grow a unique online marketplace with other individuals as a collective. With the ability to have unlimited contributors uploading their digital media onto one central store, you have the opportunity establish a hub very much like a mini microstock agency. Symbiostock Vendors provides a unique opportunity for diversifying your revenue prospects. 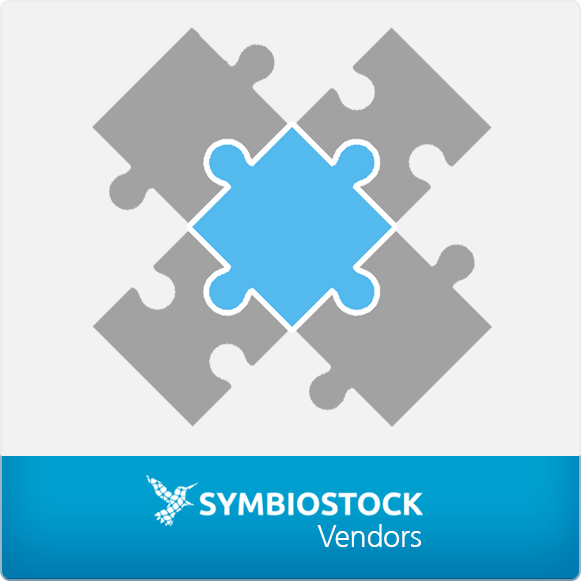 You can find documentation on using Symbiostock Vendors here. * Symbiostock Vendors does not require Product Vendors for operation. Symbiostock Vendors is tested only with the version of Product Vendors listed here. ** Product Vendors is licensed under the GPL license, permitting distribution and resale. It is provided without warranty and support, and if the latest version or software support is required, it is strongly encouraged you purchase Product Vendors directly from WooCommerce here. Symbiostock Vendors and Product Vendors are independent software licensed under different terms. Please note that when downloading Symbiostock Vendors you will need to unzip the master file and upload the individual plugins separately as they form separate pieces of software.